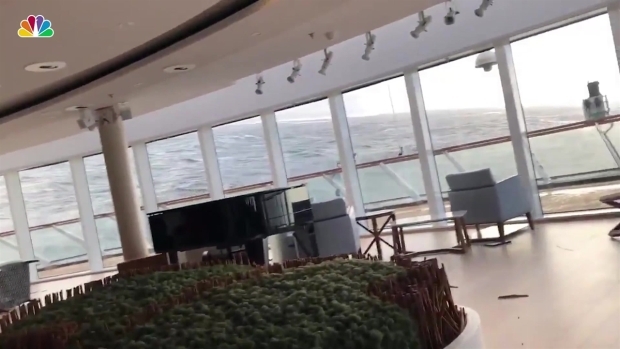 A relaxing cruise to Norwegian ports turned chaotic Saturday as hundreds of passengers had to be air lifted to safety after the vessel reported engine problems. Marianne Favro reports. Emergency crews are on a mission Saturday to airlift 1,300 passengers on a Norwegian cruise ship to safety after the Viking Sky reported engine problems and among them is Rio Vista, Calif. Resident Alexus Sheppard. Helicopters are transporting the passengers to shore pone by one, a risky endeavor that’s already injured eight. 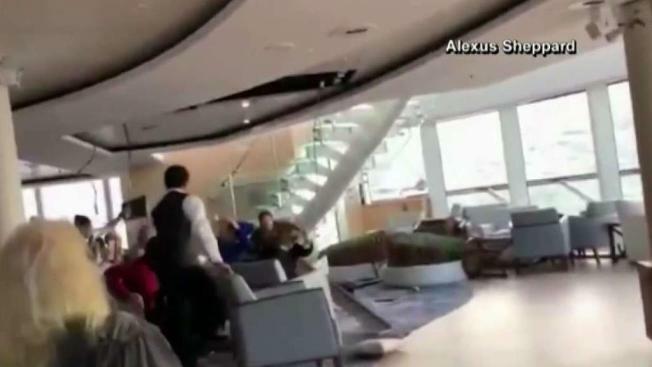 A video posted by Sheppard on Twitter shows a piano bench sliding across the room and a big chunk of the ceiling falling down. The ship issued a mayday call after experiencing engine problems. Sheppard said people have suffered minor injuries including cuts on the arms and heads from falling debris. Alexus Sheppard of Rio Vista, Calif., is among 1,300 Viking Sky cruise ship passengers who are being evacuated due to engine problems. She took this terrifying video as they waited for rescue helicopters. According to her, helicopters can only take 20 people at a time and loading one person takes about 40 minutes. Sheppard herself has been waiting five hours to evacuate and says she anticipates it will be many more hours before she can be rescued. "Very frightening, we went up on a helicopter with a sling," said passenger Danny Bates. "Quite scary." The rescue operation is expected to go on all night as crews deal with 50-mile-an-hour winds and over 25-foot waves. The Viking Sky was on a 12-day trip to several Norwegian ports.